Yesterday morning we captured and banded 71 individual birds. Forty-nine of those were White-throated Sparrows. The remaining 22 birds consisted of 4 Black-capped Chickadees, a recapture Tufted Titmouse from 8/27/2010, 4 Ruby-crowned Kinglets, 2 Gray Catbirds, 1 Eastern Towhee, 2 Song Sparrows, 6 Northern Cardinals, 1 Swainson’s Thrush, and 1 Hermit Thrush. 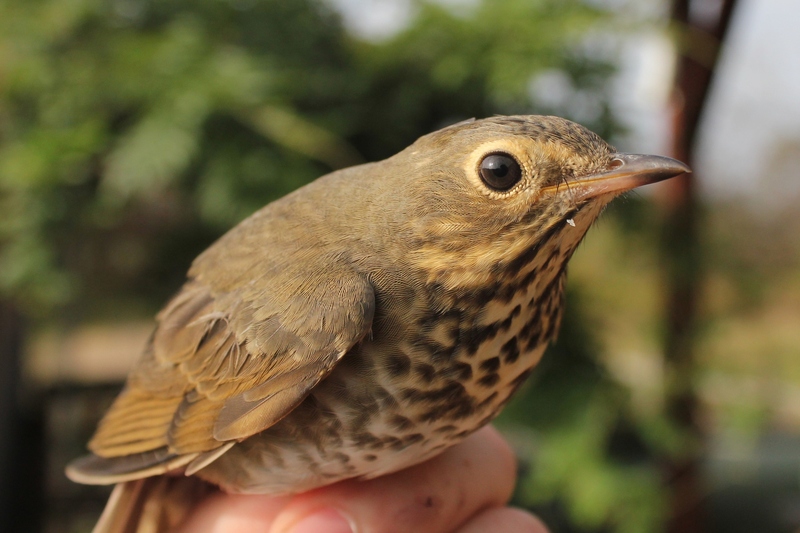 We have caught very few thrushes this season, so it was really nice to have both Swainson’s and Hermit in the hand today. 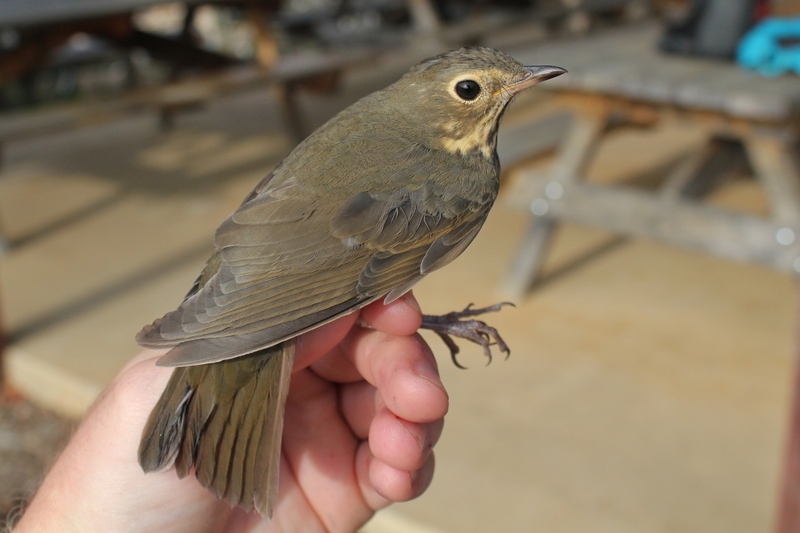 Most thrushes have moved south of PA by now, but Swainson’s Thrush and Gray-cheeked Thrush may still be encountered. 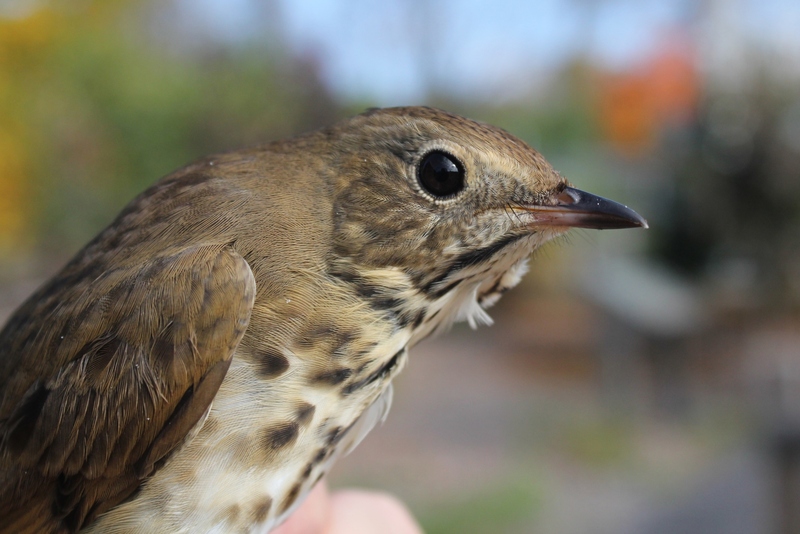 Additionally, the winter-hardy Hermit Thrush is the most common thrush species in PA right now and birders are forced to have to get really good looks at any thrushes they find in order to differentiate between the 3 “brown” thrushes migrating throughout our state. 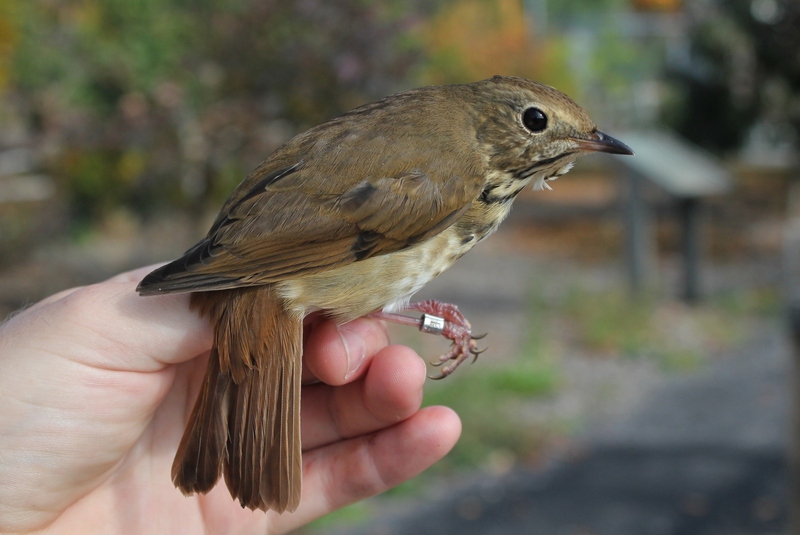 The Swainson’s Thrush and Hermit Thrush are similar in size and shape, and they are the two most likely “brown” thrushes to be found in PA during the next two weeks. The Swainson’s is an olive-brown color on its uppersides and tail. The face has very distinct buffy-yellow eyerings. 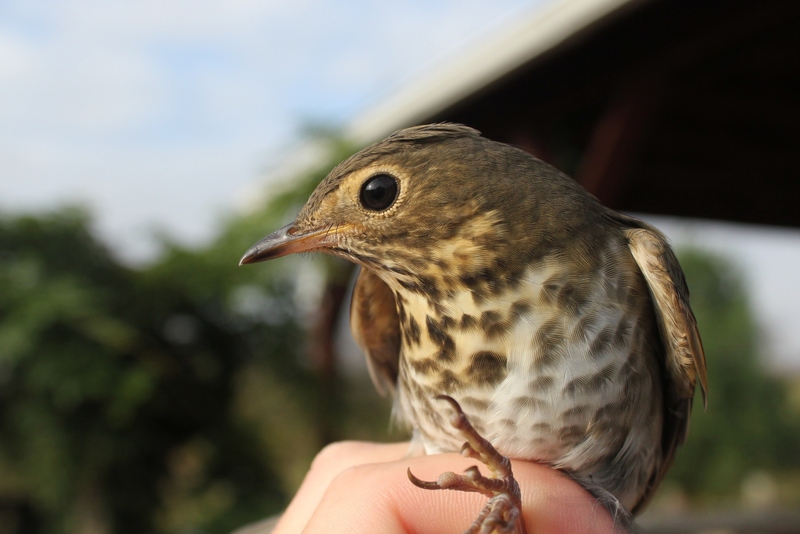 The Hermit Thrush is a reddish-brown color on its uppersides, with a very rufous-colored tail that contrasts with the coloration on the bird’s back in even the darkest forest. The Hermit’s face is much more plain, with less conspicuous eyerings. Check out the photos below to compare the species, and see what other differences you can pick out!